Understanding SEO On Page and Off Page SEO - Earlier I noted the "Understanding SEO (Search Engine Optimization)". This time I will explain about the second type of SEO techniques, namely SEO On Page and Off Page SEO. Both of these techniques must be done, especially for owners of online business websites. And when both techniques are done properly, certain online business website will be maximal performance. Domain URL: before creating a website is important to analyze the first website to be built. Then the purpose of the website should have clear directions in accordance with a predetermined Domain URL. Because the main basis for the website continues to increase its performance starting from the selection of Domain URL. When associated with an increased Keyword, need to take into account Domain URL that corresponds to the targeted keywords. If the URL Website is in accordance with the target keyword, then we are ready to compete more easily on those keywords. Avoid using domains with hyphens sign (-) and avoid the use of numbers in the URL Domain. One example in this website Domain URL www.seogereggi.com, then indirectly I've competed in building or improving keyword: Gereggi SEO, SEO, and Gereggi. Template: we must build or choose SEO Friendly template for blog or website. Now there are a lot of free premium templates that have SEO Friendly structure. But if you want to build your own template SEO Friendly, be sure to know the elements that have an impact to make our website in the category SEO Friendly. Tag Title: an essential element to define the content of the post. 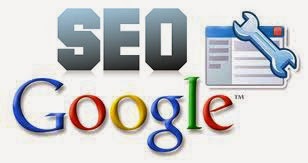 The title tag is often used by the Search Engine Google to be displayed on the results page livelihood. The title tag should have a length of 50-60 characters. When you have a lot of Tag Titles under 55 characters, then at least 95% of the title of the article will be displayed correctly in the results page livelihood. One important thing is to get used to insert relevant keywords in the Title Tag. Here is a reference of learning Tag Title (W3Shools HTML Tag Title | Moz HTML Tag Title | W3 HTML Tag Titles). Meta Tag: This element consists of a Meta Description, Meta Keywords and Meta Content more help us more quickly indexed websites Search Engine. Meta Tags will provide important information about your pages to the Google Crawler. Meta Tag is not shown in its entirety on the front page of the website, but will work on engine Google livelihood. Format H1 - H3: Search Engine will read the whole page website starting from top left to bottom right. It's important to put the H1 tag in the first sentence on the content of the website. H1 tags are generally placed on the article title. besides H1 is also important to put the H2 and H3 on the content that is on the page. As examples of this website put the H1 and H2 tags on the Tag Title Title Widget, or Subheading. Internal Link: have a good function when applied in any article or in the menu structure of our website. Internal Link Why so important? because the main goal is to help the Internal Linking Search Engine explore the whole page article and read the whole structure of our blog. Neat structure makes all the articles we will be well indexed in the Search Engines. One example is to have a neat website menu and headed on articles related to relevant and not excessive. Generally a good article has 1 Internal links to related articles. It also can help readers or users who access the website and find articles that users need. Users will linger access other articles. For your own SEO articles that have Internal link to another article having keyword values ​​which indirectly help to improve the presentation of keywords articles. Image ALT Text: not only text in the article that could be SEO Friendly, each image in the article we can do SEO Friendly that can be indexed in the Search Engines with ease. It helps us to get Traffic website is more helpful and give confidence to the user that the website is accessible because we are convenient to have images that the user wants. First before uploading pictures to an image make sure the name is a brief description to describe the picture. For example (picture logo of this website) to have the image name "Seo-Gereggi-logo.png". Both add ALT text on each image we show in the article. The information we give to each image will facilitate Search Engine know what image we show in the article. The good description of the pictures has a length of 5-15 words. If the description is too long will make the search engines to define the image. For SEO, we can include keywords to images, but these words must remain relevant to interpret the image. URL optimization article: The article has SEO Friendly URL is important, since Google itself provides the information that the URL of a page must Logical and easy to understand by humans [G]. Good article provides URL fragment clear words in describing back Tag Titles. 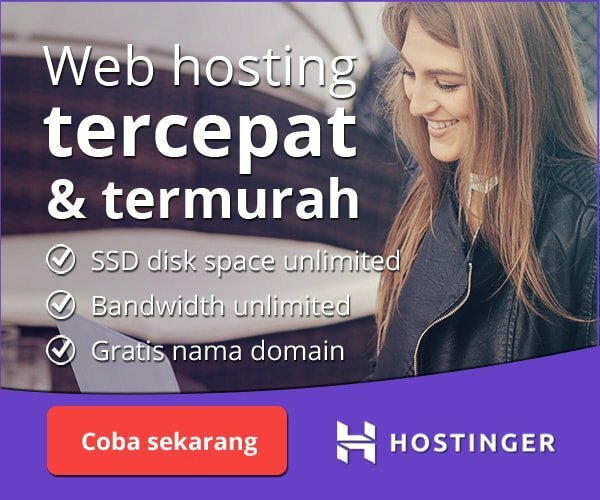 As examples of "www.domain.com/pengertianseoonpage", preferably article URL are "www.domain.com/pengertian-seo-onpage" separated by hyphens "-". This will facilitate Search Engine to index the articles according to keywords that are built on a variety of elements that have been done. Bold, Italic, Underline: on the articles we write using the Format Text Bold, Italic and Underline useful to accelerate the articles can be indexed by Search Engines. Make it a habit to use this Text Format in every part of the article. Text Format Onpage SEO helps improve the quality of our website and help users more interested in reading articles that we make. Sitemap: a link that contains a link data across an existing page on the Website. Sitemap makes it easy for the user to be able to look for the desired article with ease. With the ease of Search Engine Sitemap gives Google to index every page of the website. Submit links Sitemap to Google Webmaster Tools website, in order to accelerate the articles indexed and ranking which is targeted to go into the first page of the Google Search Engine. Social Media: is the media to divide the various kinds of data, one article or the article links. Get used to divide the article into various Social Media such as Facebook, Twitter, Pinterest, StumbleUpon, and more so that the user knows our website. Website that always divides his article into various Social Media has a greater chance to win a keyword and certainly more quickly indexed by Search Engines. Social media helps us become better known website by the user. One example when our website has an article about "SEO" then we distribute these articles to Social Media with proper and suitable group, it will speed up the website to establish good communication for the group of "SEO" is. Backlink: is one of the SEO Off Page influential to the level of PR (Page Rank), and an increase in the desired keywords. Backlink which we are building to be good and not Spamming, because when our websites violate the existing provisions make our website will be exposed to a penalty by Google Search Engine (Panda - Penguin). Many ways to build backlinks, such as Pyramid, Dummy Blog, Automatic, Social Bookmark, Edu - Gov, Web 2.0, Forum, Blog To Web (one way), Blog To Blog (2-way), Blog Walking, Review, Web Directory, Submitter and rent, and other means in accordance with the analysis and calculations have been made. Google SEO Tools: in developing the Website, we may utilize a variety of tools that Google offers as the webmaster, Analytics, Trends, Adwords Keyword Planner, Consumer Surveys, PageSpeed ​​Insights, Content Experiments, Places for Business, Alerts, Tag Manager. Learn and take advantage of the tools provided by Google, because there will help us in building a website that is SEO Friendly. Share Picture: re-upload pictures from a related article on the general image storage website, and provide information in the form of backlinks to the article. This can help increase the number of backlinks and website visitors. Another way is to give Watermark website link in the picture. How can we develop themselves more than the previous one. In building Off Page (Keyword) is required objectives and a clear analysis. Use the tools to be able to complement the needs in building techniques Off Page. Be sure not to use excessive blackhat Software category. Always monitor developments Offpage SEO correctly. Many people are slowly finding an easy way to improve your keywords by using self-made formula, but still Google's Search Engine algorithm was based on. Many explanations of times on Understanding SEO On Page and Off Page SEO. The difference between these two techniques is optimization of the website (On Page) and the optimization of the outside website (Off Page). Next chance I will give some of Review Tools, Website SEO and SEO techniques in the next article. Already read this article? "Why SEO is Important for Online Business Website?"